In the age of expanding attack surfaces and new AI-driven threats, it’s safe to say that many enterprises have—or will—be compromised in some way. In fact, nearly 1 in 3 organizations will experience a recurring material breach in the next 2 years, according to the Ponemon Institute. 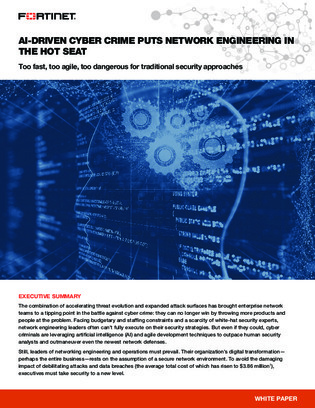 In this white paper, learn different ways to revamp your network security strategy to help keep you protected from an evolving threat landscape.